A light is not just a light – it’s a product of the age in which it was designed. So when designers revisit the lamps of previous decades, they revive classic shapes, timeless trims and the beauty of long-forgotten details. The Evergreen series of pendant lamps revitalises these features in a collection of classic forms. 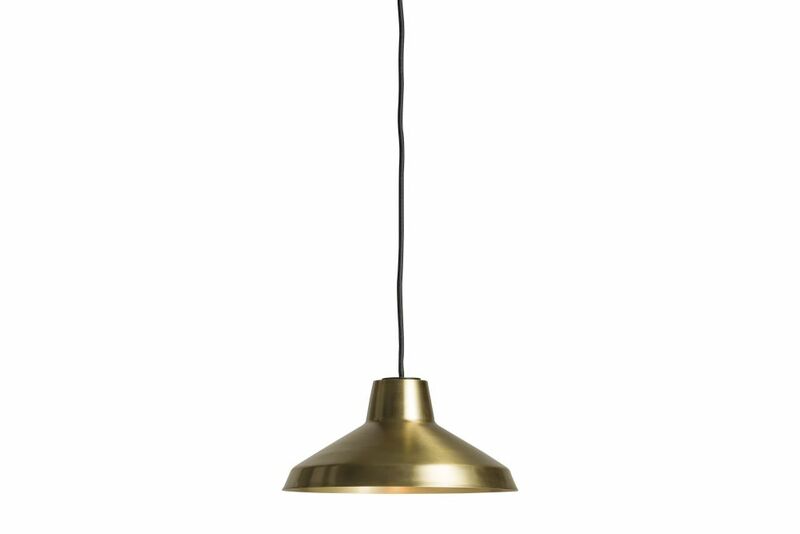 The series consists of two different lamps in a choice of sizes, available in either polished brass or treated copper. Evergreen is complemented by an optional interactive pulley system to regulate the height. The pulley system threads the power cord through a wheel mounted to the ceiling and down to a wall fastener where it can be secured. Whether adjusted by the pulley system or installed at a fixed height, Evergreen creates a uniquely dynamic lighting experience that suits almost any type of interior. The lamp series is delivered with a 300 cm electrical wire and a cord grip canopy as standard; this can be changed to a pulley system using a certi ed electrician for the installation. Jens Praet (born 1984) is a Belgian designer. After completing his education in Italy and The Netherlands, he opened his design studio in 2007 near Florence, Italy where he works and experiments on a variety of new products. Praet’s design is characterised by a passion for everyday objects and materials and the combination of old and new. He finds inspiration in unexpected details and daily issues, which then become the starting point in the design process. Vibeke Skar (born 1983) is a Norwegian designer who began her studies in Italy. She subsequently worked at Frost Produkt while attending The Oslo School of Architecture and Design. Since completing her Masters degree in 2009 she has worked as a freelance designer under the name Studio Vibeke Skar.